It’s 38 degrees and breezy. 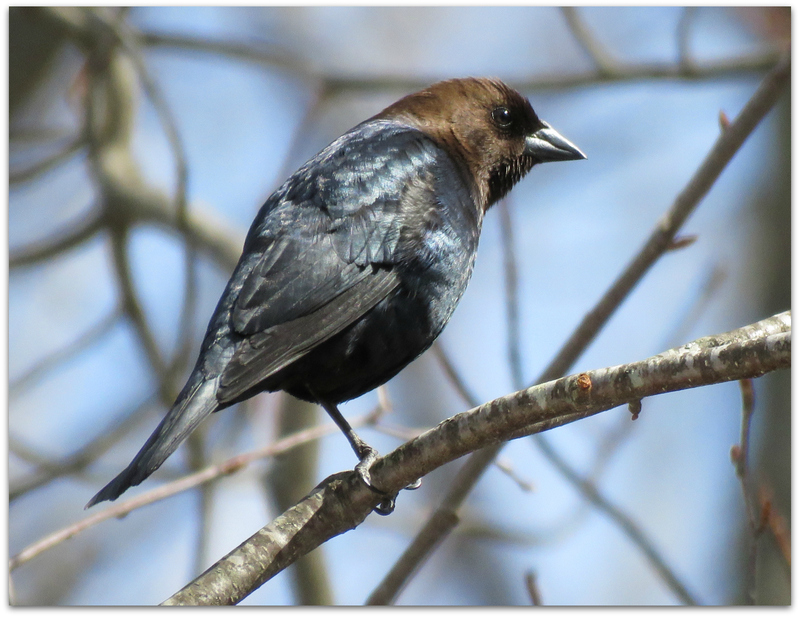 A Brown-headed Cowbird perched where the woods meet our backyard, warmed one foot then the other, and sang his spring blackbird songs. This fellow sang only briefly a couple of times while I was recording. I think he was a little camera shy. Male Brown-headed Cowbird sing a liquid-sounding series of low gurgling notes followed by thin sliding whistles, lasting slightly longer than 1 second. I like the way he puffs up a bit when he sings, like a red-winged blackbird. 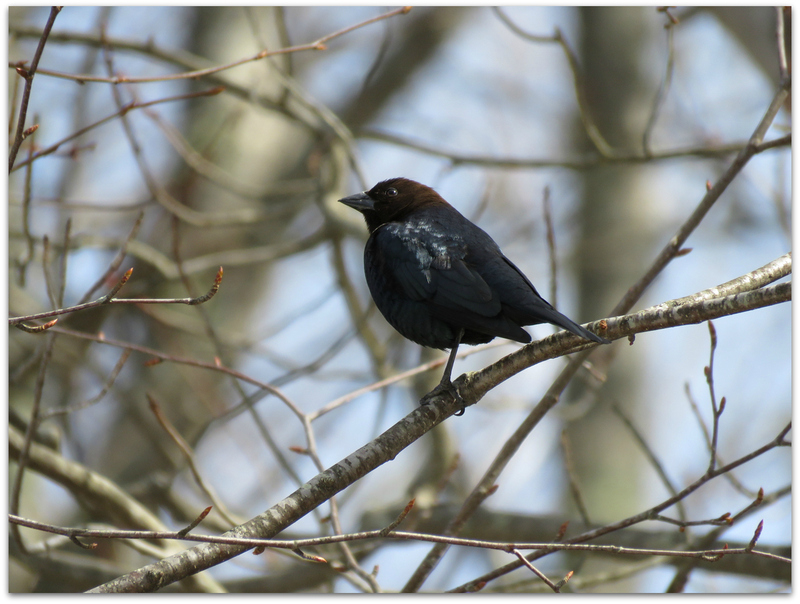 This entry was posted in Uncategorized and tagged Brown-headed Cowbird on April 8, 2015 by Amy.